Sylvie and Jules, Jules and Sylvie. Better than just sisters, better than best friends, they'd be identical twins if only they'd been born in the same year. And if only Sylvie wasn't such a fast -- faster than fast -- runner. But Sylvie is too fast, and when she runs to the river they're not supposed to go anywhere near to throw a wish rock just before the school bus comes on a snowy morning, she runs so fast that no one sees what happens…and no one ever sees her again. Jules is devastated, but she refuses to believe what all the others believe, that -- like their mother -- her sister is gone forever. At the very same time, in the shadow world, a shadow fox is born -- half of the spirit world, half of the animal world. She too is fast -- faster than fast -- and she senses danger. She's too young to know exactly what she senses, but she knows something is very wrong. And when Jules believes one last wish rock for Sylvie needs to be thrown into the river, the human and shadow worlds collide. 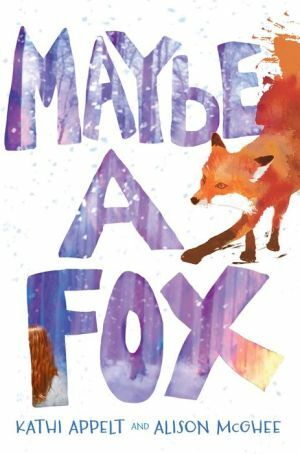 Told in alternate voices -- one Jules's, the other the fox's -- Kathi Appelt and Alison McGhee tell the searingly beautiful tale of one small family's moment of heartbreak, a moment that unfolds into one that is epic, mythic, shimmering, and most of all, hopeful.